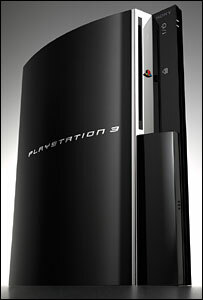 Sony insist there are no immediate plans for a price cut on the PS3 console to coincide with the expected release of the new Slimline version in the next couple of months. Sony’s CEO, Howard Stringer, moved quickly to deny rumours that were growing on the internet. This is in response to games developer, Activision, when their CEO suggested they may stop developing games for the PS3 because of the high price of the system. And on cutting the price of the PS3? Activision’s game titles include Call of Duty and Guitar Hero.